Being productive is key to being a web and ux designer or any person working on the web. One part of productivity is knowing where to find the information you need when you need it. Another part is keeping up with new developments in your trade, constantly learning and improving. However, I believe the most important part to being productive is actually getting back to work and getting things done: designing web sites, building web apps, publishing content. As a passionate frontend developer or ux designer for that matter you get bombarded with more information than you can possibly handle, let alone use productively. If you just try to stay up to date with developments in your field of expertise, you follow leading blogs, important people on twitter and signed up for a couple of newsletters. So basically, your inbox, rss reader, twitter is overflowing. If you have read the enourmously popular “Getting Things Done” by David Allen, you know that a major key for being productive is a well structured system for managing incoming stuff. The crucial step to staying creative and sane is to keep your head free from todos, mental notes, reminders - so that you can actually focus on the work at hand. This may even apply more to designers then to other digital workers, because designing is about coming up with many solutions to a problem. And more mental space you have, the more ideas you will generate. A lot of information is nice to know, however does not change your current course of action. But you might need it at some point in time - so it would be great if you could find it later quickly. All these things are currently not relevant to your actions, because you currently don’t work on them. But you think, they might prove useful to you in the future. And you already know that you can trust the source - which in most cases beats a new google search on the topic. I know the information is securly saved and I don’t need to worry about finding it again. So I can get back to work. If I get across a blogpost that I think will change the way I work or approach things, I will actually want to read it sooner than later. However I cannot stop the work I am currently doing just to implement these ideas. So I need a place to store them for later completion. 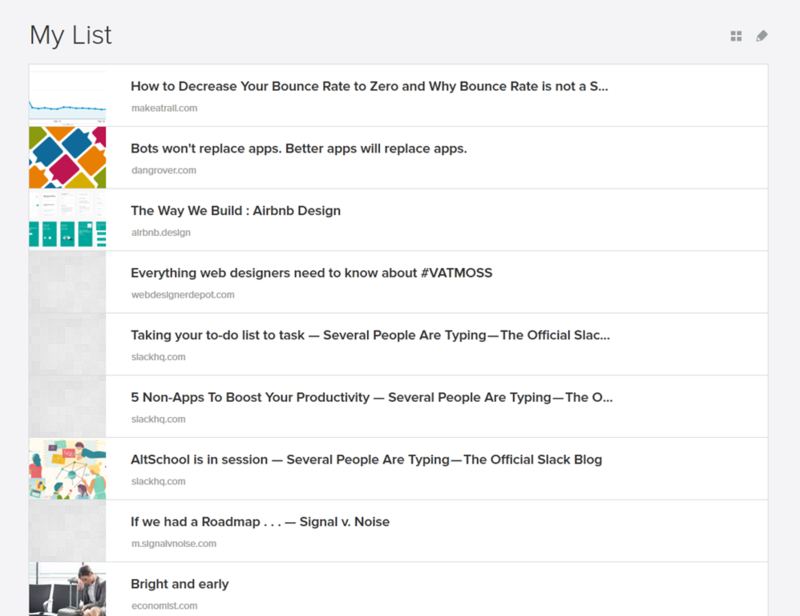 Pocket to the rescue: Pocket is also an online bookmarking tool - however offers a better read-later experience - which is perfect for actionable information. Because I don’t store these posts for reference but want to act on them, I do not add any tags here. I am going to get them sooner or later. I especially enjoy the reading experience on my smartphone with the pocket app. The content always looks good, sharing and saving new links is easy and let’s you get back to the article quickly. 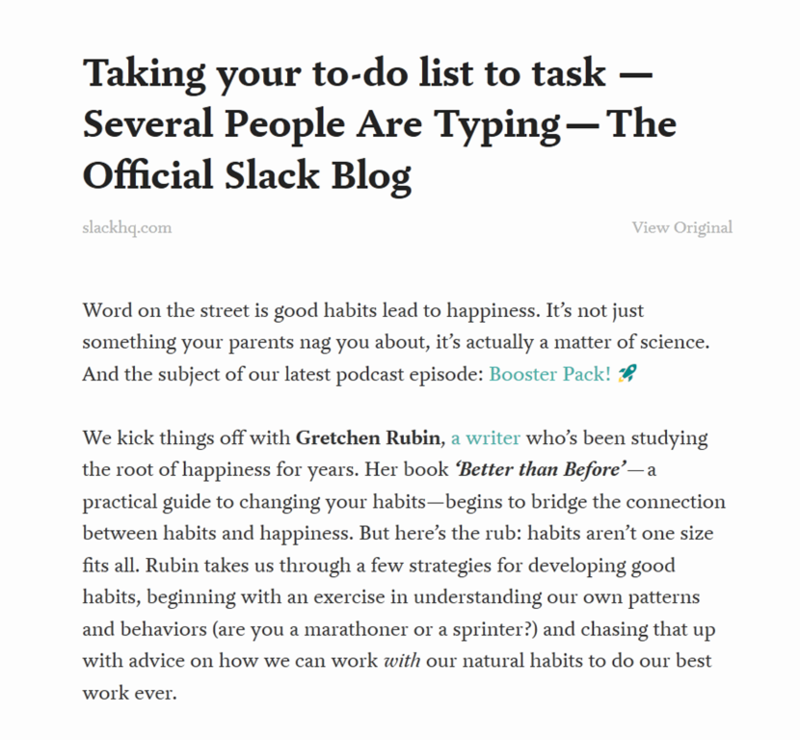 With Pocket I have completely changed my blog reading habits: I don’t have dozens of tabs open with blog posts that nag at me for not reading them for weeks. And even though my list in pocket is growing every day, it does not bother me, because I know I will get to it if I have the time for it. Which brings us back to Getting Things Done: Using diigo and pocket gives me the peace of mind to organize incoming stuff where it belongs and getting back to doing actual work. While making changes to our google analytics events for our web portal software discoverize, we managed to drop our bounce rate to zero. In this post I share what how we fixed the problem and why I think that bounce rate can not be part of google’s search ranking algorithm. What Exactly is Bounce Rate? We all know, the lower the bounce rate the better, but what does it actually represent? percentage of session, in which the person left your site from the entrance page without interacting with the page. Basically it means, that after arriving at your site, the visitor does not go to another page or converts for you (for example newsletter signup). Naturally we wanted to take credit for improving our software and encouraging more interactions with our portals. However we had not deployed any changes in that period that should have affected the bounce rate this much. We had added an google analytics event that would trigger as soon as the detail page was opened. A glance at the google analytics events documentation showed that these events count are interpreted as as user interactions. This means that these visits even though not triggering any real interation from our visitors did lower the overall bounce rate. There have been some speculations on whether or not google considers your bounce rate when calculating your search rank. 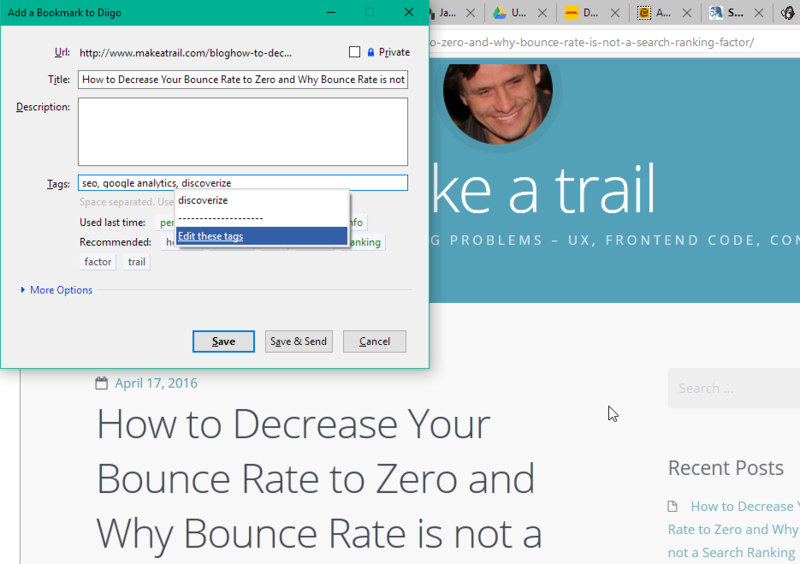 Our inadvertent drop in bounce rate show that you could manipulate your bounce rate very easily. So it seems reasonable to asume that bounce rate should not be part of google’s search algorithm.